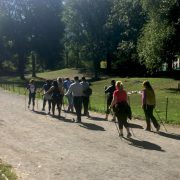 HYVÄ Nordic Walking has introduced the activity to New York and has partnered with EuroCircle for an exclusive group walk. They use a wireless audio system to provide real time teaching cues and a music soundtrack. You just need to bring along a set of earphones to plug into the receiver. 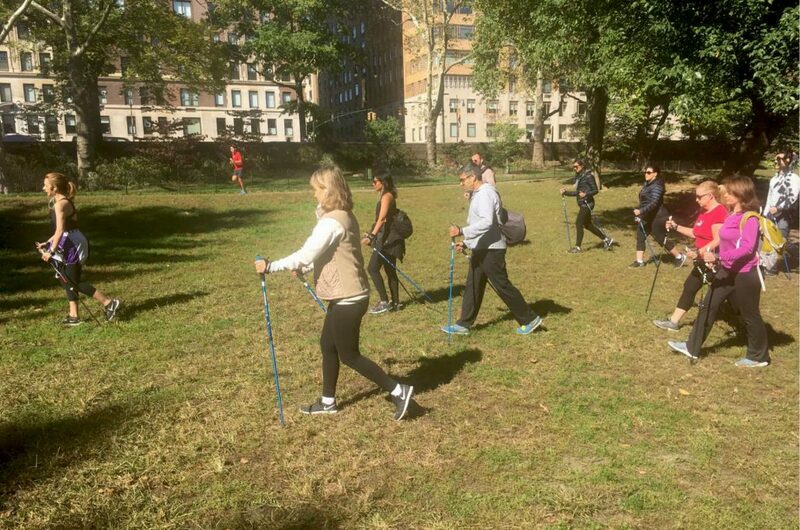 They provide the Nordic Walking poles. This event is limited to 10 people. If they sell out there will be a second walk on Sunday, October 16th at noon. Cost is $10 cash payable before the walk. Have you ever Nordic Walked or know of someone that does? 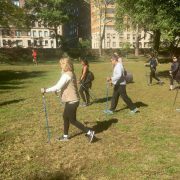 You probably do as 12 million people from Scandinavia, Germany, Austria and the UK enjoy Nordic Walking as a fitness workout. 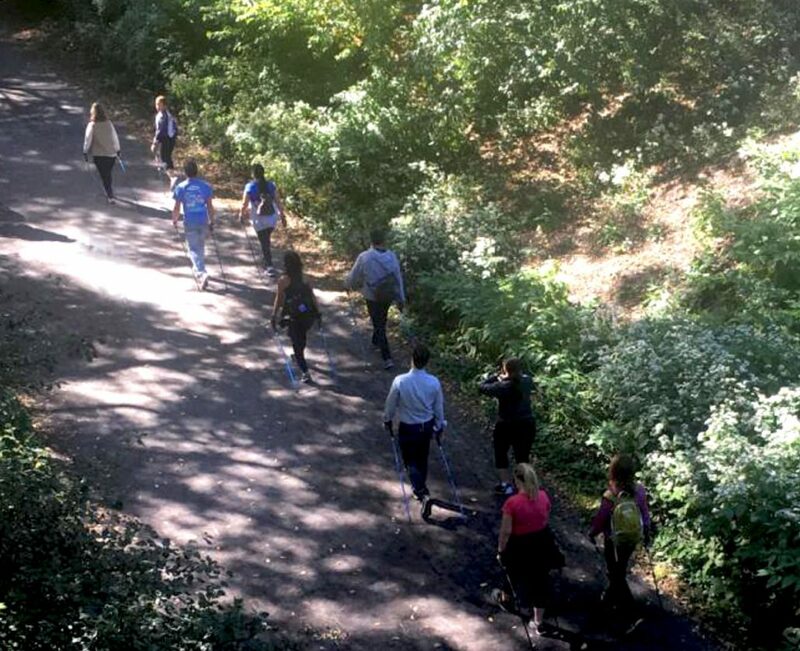 Now you can enjoy this low impact, Finnish cardio activity outdoors in Central Park. There is a brief warm up and instruction period followed by a relaxed pace on the Bridle paths around the reservoir. We will cover 3.6 km in 45 minutes while taking in the fall foliage. Nordic Walking achieves the same intensity as running but without the stress and high impact on joints. 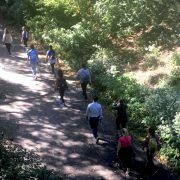 Join fellow expats for a ‘walk in the park’. What to wear: Wear layers for the fall weather. Comfortable walking shoes or sneakers. Do not bring a handbag. A bag pack or belt bag is fine. Please arrive 15 minutes early so we can adjust your equipment. Hydrate (try to use bathroom facilities before the walk). 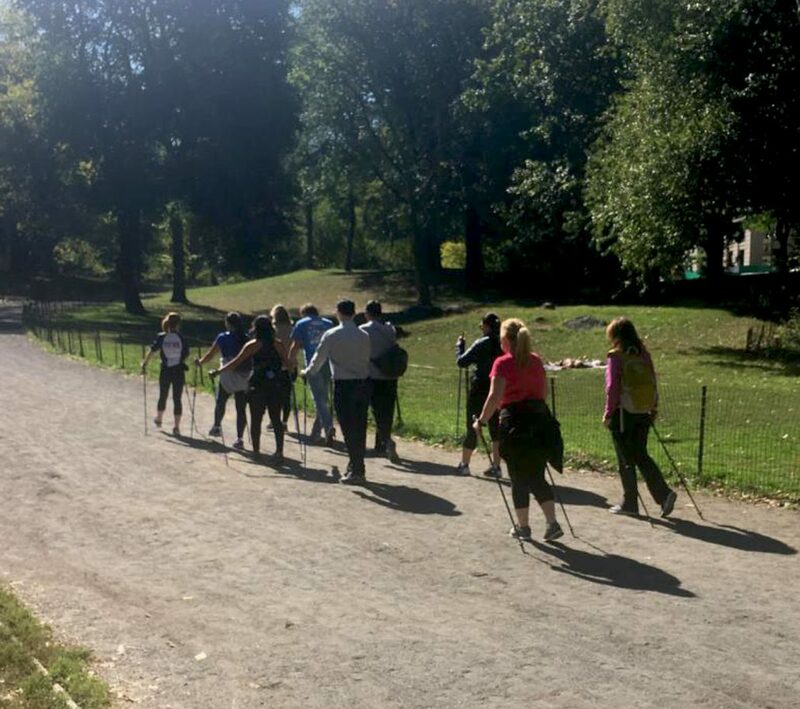 QUOTE from their website: “When done correctly, Nordic walking can burn up to 40 percent more calories than regular walking, reduce knee and joint stress, boost oxygen consumption (which, in turn, benefits the brain) and help realign the body after a day hunched at a desk. 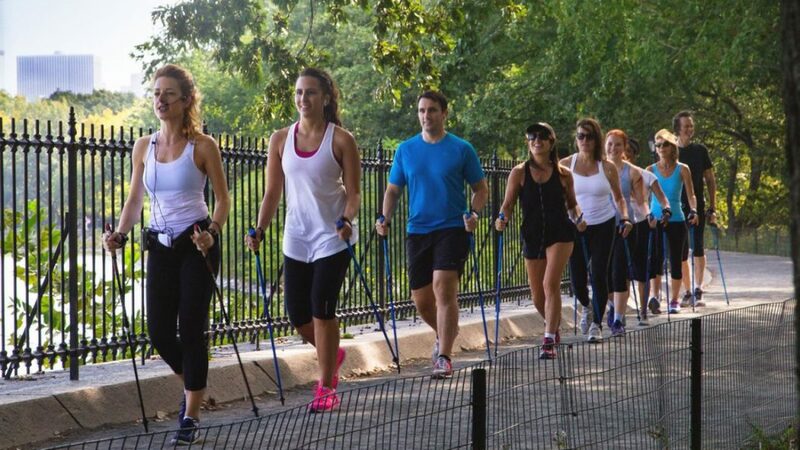 It can even appeal to the exercise-averse since it feels easier than other exercises that require equal effort, says Dr. Pam Roberts, a family physician who teaches Nordic walking as a health and wellness coach at The Summit Medical Fitness Center in Kalispell, Montana. “[Nordic walkers] are getting a higher level of fitness, but they’re not feeling the drudgery of it,” she says. More than a hobby, the sport – which has a low risk for injury and can be done virtually anywhere that’s walkable, from shopping malls to city sidewalks – can be therapeutic for a wide range of health conditions, including fibromyalgia, Parkinson’s disease, multiple sclerosis and diabetic peripheral neuropathy, a condition in which people’s damaged nerves can make it difficult to sense the ground when walking. Poles change that, Roberts says.